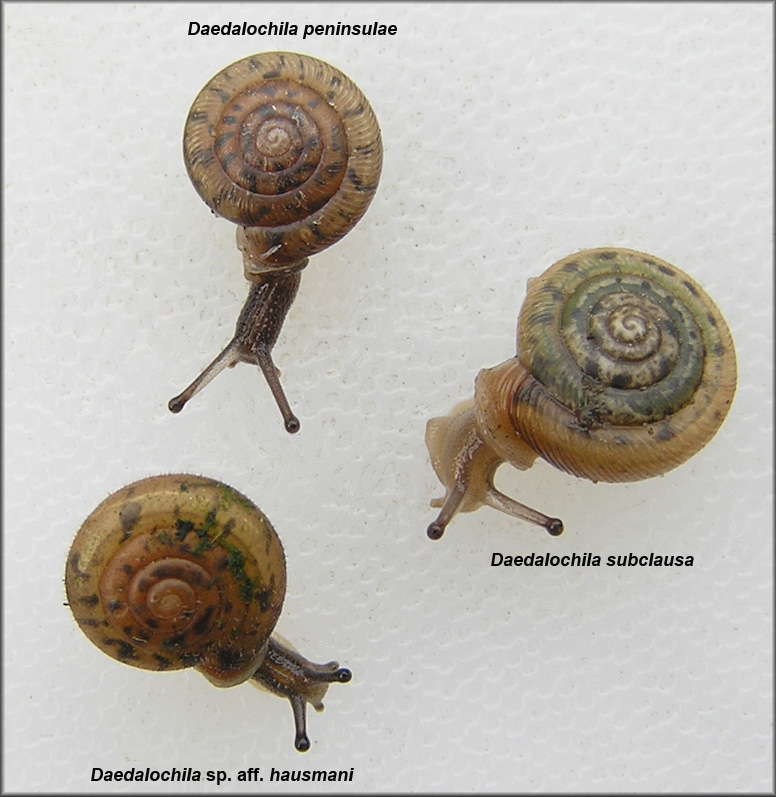 Living Daedalochila peninsulae (Pilsbry, 1940) compared with living specimens of Daedalochila subclausa (Pilsbry, 1899) and Daedalochila sp. aff. hausmani (Jackson, 1948). All specimens were collected in Duval County.